During your free legal consultation at my Statesville, NC law office, I will attempt to determine what needs to be done next in order to preserve your best interests. After getting involved in a difficult or trying legal situation, you may be unsure of how to proceed. If you find yourself in a situation like this, I encourage you to reach out to my law office in Statesville, North Carolina to schedule a free legal consultation. Bringing documentation with you – If there are any documents you have acquired that have to do with your case, make sure you bring them when you meet with me. For example, if you received a traffic ticket, it is best to bring a copy of this document for me to review during your consultation. Taking notes beforehand – Before you come and see me, write down any concerns or questions you have about your particular situation. Documenting your situation allows me to fully understand what your specific legal needs are. Being open and honest – There is no reason to be ashamed by your circumstances. As your lawyer, I am here to help you in any way I can. During your legal consultation, I will also help you understand what I can do for you and what legal solutions are available to you. To set up a free legal consultation with me, please give my office a call today. 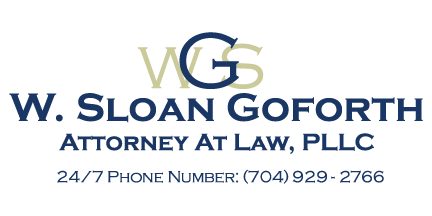 At the office of W. Sloan Goforth, Attorney at Law, we offer free legal consultations to residents of Statesville, Troutman, Taylorsville, Mocksville, Mooresville, Hickory, Iredell County, Alexander County, and Davie County, North Carolina.